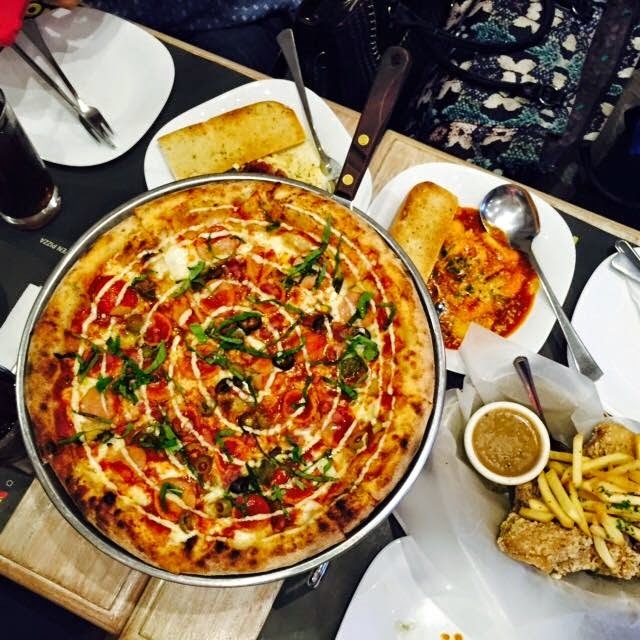 Bistro Ravioli is one of the restaurants that serves really memorable food that will make you drool as you think about the restaurant's ravioli, pasta, and pizza. Chicken with herbs. 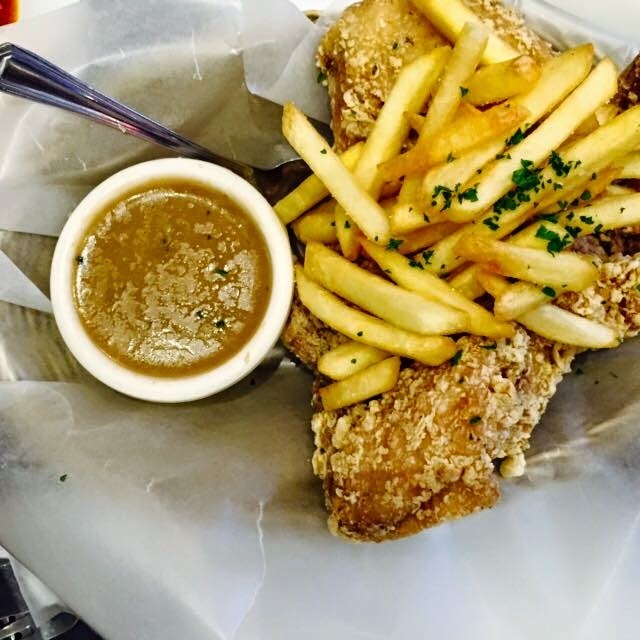 I usually refrain from eating chicken since I don't like breaded one as it tend to be oily. But this one is definitely a must-try. Its both light and refreshing on the palate. Think dining al fresco, and having a nice view of a garden. It would've been nice if there's a glass of cold sangria but a glass of iced tea will do. Sausage Pizza. Its brick-oven baked so you need not worry about oil. 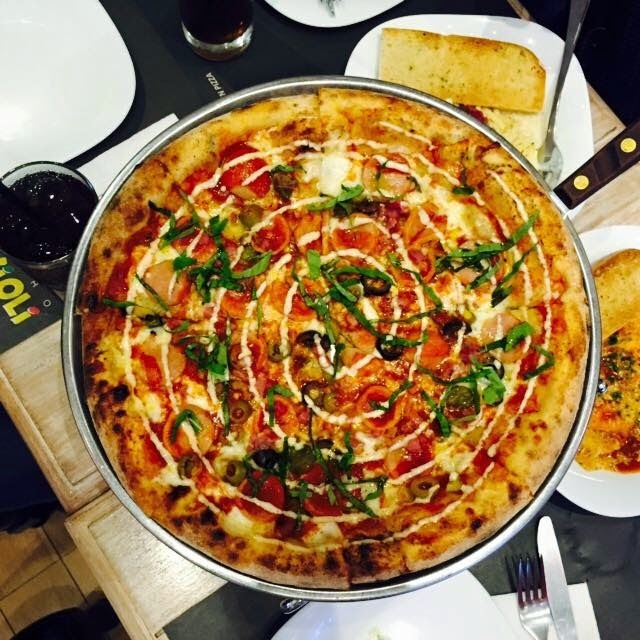 The crust is both soft and crusty at the same time (thumbs up), and of course, the toppings tastes divine. A perfect mix of cheese, sausage, olives, and herbs. 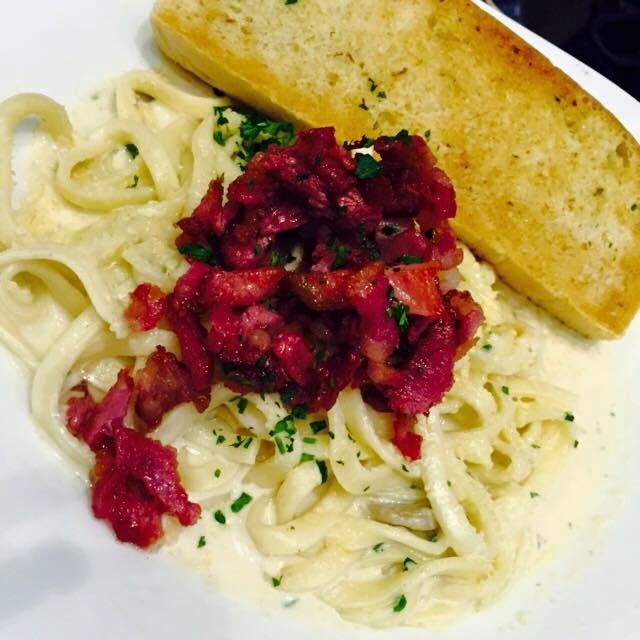 Bistro Ravioli is located in SM Mall of Asia. 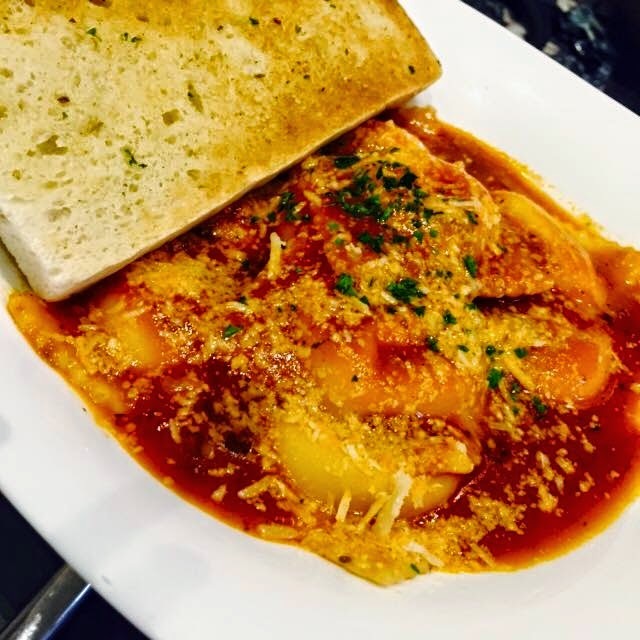 You can read about my first dining experience at Bistro Ravioli here. Drooling over that sausage pizza.